We spoke with Patricia Churchland after reading her new book Braintrust: What Neuroscience Tells Us About Morality. We also discussed David Hume's ethics as foundational to her work, reading his Treatise on Human Nature (1739), Book III, Part I and his Enquiry Concerning the Principles of Morals (1751), Section V, Parts I and II. This is a 33-minute preview of our vintage 1 hr, 45-minute episode which you can buy at partiallyexaminedlife.com/store or get for free with PEL Citizenship (see partiallyexaminedlife.com/membership). You can also purchase the full episode in the iTunes Store: Search for "Partially Churchland" and look under "Albums." What does the physiology of the brain have to do with ethics? What bearing do facts have on values? 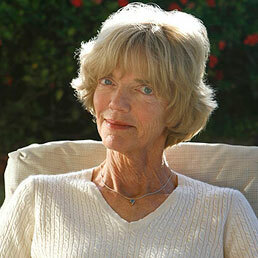 Churchland thinks that while Hume is (famously) correct in saying that you can't deduce "ought" from "is," the fact that we have moral sentiments is certainly relevant to figuring out what our ethical positions should be, and it's her main goal to figure out what the mechanisms behind those moral sentiments are: What brain parts and processes are involved? How and when did these evolve? How did cultural factors come into play, building on top of our biological capacity to care for others? Pat spoke with Mark and Dylan Casey here about topics ranging from the war on drugs to the rationale of punishment to Sam Harris's book The Moral Landscape. Read some more initial thoughts (and some substantial discussion in readers' comments) here. To read along with us, buy Pat's book. You can find the Hume selections here and here. End song: "Bring You Down" from the 1994 album Happy Songs Will Bring You Down by The MayTricks. Wow, that was a pretty fast turnaround for another episode. I’m excited to listen to this one. Probably do it tomorrow. It wasn’t that this one was so fast, but that I was so slow editing the Plato. This whole podcast was really impressive, and I really enjoyed a lot of things about it. So many broader issues, especially regarding morals/ethics in general were addressed, such as the talk about political vs. individual morality, utiliatrianism, Kantianism, and obviously a lot about Hume. There were also particular examples, such as the talk about the war on drugs, etc. At the end, you guys touched upon the ever controversial elim materialism, and it sounded far less controversial coming from the source. Talk of beliefs and desires as causing action amounts to a theory that is potentially misleading, and, I would assume, should be eliminated as a scientific explanation. Davidson, who famously argues that beliefs and desires can act as causes, provides a nice contrast. Fundamentally, I suppose it gets down to the question of what you take an “explanation” to be, scientific explanations vs. other, and whether there can be different true causal explanations of a single event. I’m not certain that the two ideas could not coexist. Churchland seems like more of a true scientist and less willing to dabble in scientism than some other famous living philosophers. It was refreshing to hear her ideas discussed at length and not a mere caricature. Awesome podcast guys!! Such a great episode! Is Dylan becoming a more permanent fixture on the show? I really enjoyed the podcast and love Churchland’s work (though I wished Wes could have been there to have her address any dissent he might have voiced). I should add that I haven’t gotten a chance to read her book yet though, so apologize if I’m voicing and easily silence criticism. She stated something similar in your discussion but it seems potentially problematic. For instance, Churchland seems to endorse the work of what might be called ‘theoretical neuroscience.’ But when looking at theoretical physics, it has entirely to do with discerning consistency and predictability in natural phenomena, i.e. rule making. And perhaps this is a nuance to the discussion that I just didn’t fully grasp. Is there some middle ground between rules and the arbitrary/random? I could understand if ethics were such a messy thing as to require approximation to rules, acknowledging that though ethical judgments might point to a rule, it would be important not to confuse the two and incorrectly substitute the ethical rule for whatever ethical judgment(s) a particular circumstance points toward. In other words, what’s wrong with bottom-up rule making? And is there any way to actually reason about anything at all really, without utilizing generalizations, even if those generalizations aren’t hard and fast and we remain vigilant against thinking the principles that underlie them are the real thing rather than helpful constructions? And in what pragmatic sense would we be better served by not rule making? I feel bad using such abrupt quotes with little context to go off of, but deriding a certain moral framework because it seems beyond reasonable, too demanding, too meddlesome, seems to require alternative rules or principles, beyond what the concept of a moral sentiment judging based on emotions and reasons combined, can offer. I guess I’m just confused as to where her ideas leave one when trying to arrive at the morally preferable outcome. Can anyone help clear this up for me? Great discussion! I was a bit nervous about having a real academic on board, but Churchland seemed to fit right in. It was also nice to have a female voice! She raised an issue that has long puzzled me about philosophy. As she mentioned, many issues of morality and authority seem deeply dependent on upbringing. Yet as far as I can tell, Western philosophy has never seriously studied the family. Starting with Plato, we seem to have obsessed over the individual and the state, yet considered family either a boring fact or an impediment to rationality. Am I wrong? Is there in fact a lively tradition exploring the nature and purpose of the family in helping us understand what it means to be human, social, and ethical? Or is this another symptom of the “dead white male” bias which we’ll presumably be exploring in the next episode on feminism? My first impression is that this site is read by people who have between them studied all the great philosophers and know and love all the big and unfamiliar words they’ve coined. So I hope one of you may be able to help me with something: Is there a well-recognised philosophical term for the point of view that morality is nothing more than a set of guidelines which evolved to facilitate social life? Listening to the Churchland podcast made me wonder if perhaps there isn’t. I’m not sure if one term captures all the points you’ve made. BDL, wouldn’t that tend to support Churchland’s point? The fact that Tacitus found it noteworthy and unique that the Jews forbade infanticide, that is? good episode. I really cringe when proposals involving complex behavior are predicated on oxytocin or glucose uptake/oxygen uptake on real time CT angio or MRI images. Seems awfully simplistic. Particularly about posing questions about what society should do with individuals with enhancement on realtime brain imaging with particular psychopathology. Seems to me society has already engineered too many “excuses” or “labels as excuses” to exculpate sociopathic behavior. I am glad Pat concluded that it is in society’s best interest to protect itself from individuals that may produce harm. One could easily imagine amoral lawyers using brain imaging to provide an excuse for manslaughter. She seems to give more credence to ‘blank slate’ or ‘open bucket theory of mind’ . I’m reading a great book at the moment, written by Borat’s cousin, whom happens to be a Professor of Developmental Psychopathology; the book’s called Zero Degrees of Empathy. It struck me how many points raised in this podcast were too raised in Simon Baron-Cohen’s study on the importance of empathy and those lacking it, i.e: psychopaths, and what we should do about/with them. Also loads of great thoughts on what causes it: the nature vs nurture dilemma. It was good to know that she is critical of Sam Harris.